Some of the fastest skiers in Canada descended upon Highlands Nordic near Duntroon this past weekend for the Haywood Noram Easterns and Alta Gas Sprint Championships. Almost 600 athletes attended from all over Canada, including the Yukon and Newfoundland. 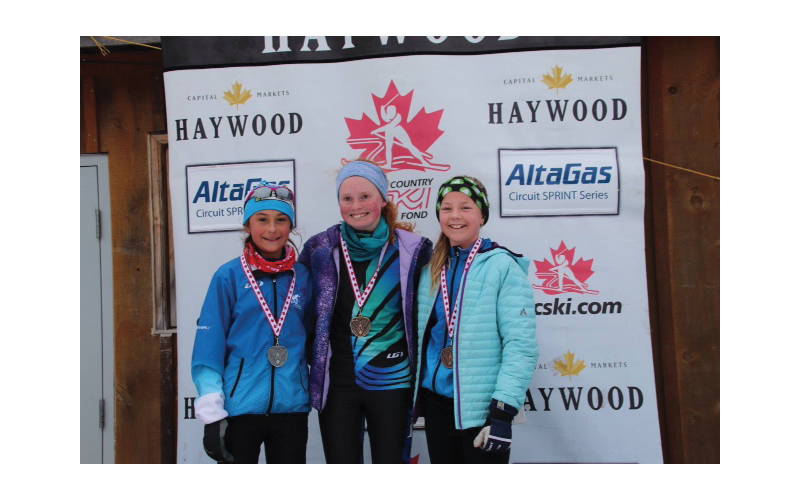 Sabine Cornell (left) of Duntroon, made the podium, earning a silver in the mini midget age category.